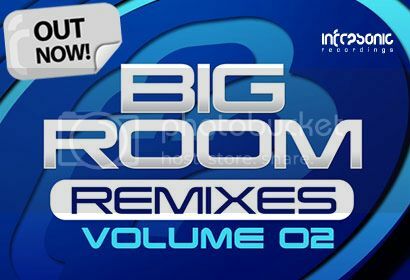 Infrasonic Big Room Remixes Vol.2 [Infrasonic] | OUT NOW! Thread: Infrasonic Big Room Remixes Vol.2 [Infrasonic] | OUT NOW! Our Big Room Remixes bundle series returns for Volume Two and continues in the same vein as its maiden release. This new concept finding favour with many of the global trance family and Volume Two is surely not going to disappoint. Once again, we’ve had the difficult decision of picking just 10 iconic and ground-breaking electronic masterpieces that have done the business in the Infrasonic stable. The concept of this series is focusing on often the unsung heroes of a release: the remixes. Watch out for hot reworks from the likes of: Hanski, Yuri Kane, Thomas Datt, John O’Callaghan, Dimension and many more.